Our team has worked closely with Law Enforcement agencies for almost two decades now. We’ve met some amazing men and women along our journey and heard some incredible stories. Funding is hard to come by! Every year we attend several nationwide Law Enforcement conferences and expositions, which gives us the privilege to speak first hand with thousands of Officers, Chiefs and every ranking commander in between. While there often is a lot of interest sparked in the technology we have on display, we understand that, in many cases, the money just isn’t in the budget. With these budgetary restrictions in mind, we have compiled a list of tips to consider when trying to fund a Law Enforcement technology investment. Don’t sacrifice quality for price. It’s not worth it. 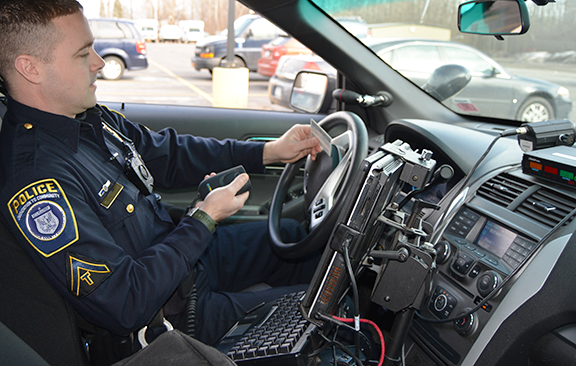 While it might make initial sense to purchase consumer-grade equipment when you see the price tag, you will be out of luck if and when it breaks in the patrol car environment. Can’t afford a big purchase order? Try purchasing incrementally. Start by outfitting a few cars at a time. For equipment refresh, upgrade one component at a time. Keep an eye out for promotions, such as trade-in discounts or buying in bulk. There may be federal or state grants available to offset costs. Network with neighboring agencies. State Law Enforcement conferences or other networking opportunities may give you the inside track to money-saving tips. Check to see if there is a state-sponsored software program available to your agency. Some states permit local departments to reserve a portion of proceeds from handwritten citations (usually a small fixed amount) to fund future investment in e-Citation. See if this is an option in your area. Take a look at the percentage of handwritten citations that are dismissed in your department for illegibility or processing errors. These errors are costly. Learn more here. Consider the labor that can be saved by implementing e-Citation. Duplication of effort means wasted resources. We hope these suggestions will help your agency with future technology investments. If you have any other tips to share, please let us know on Facebook! Carmella Giancursio is L-Tron’s Public Relations Specialist & Content Editor. When she’s not working, spending time with her husband, or taking care of her 3 young kids, she can be found in the kitchen, channeling her Italian heritage! Email info@L-Tron.com with questions, or call us at (800) 830-9523.